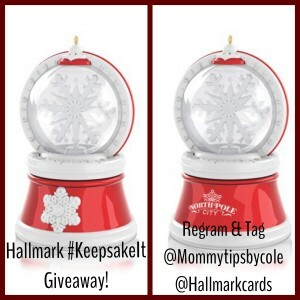 Creating Memories with Hallmark #KeepsakeIt Ornaments + a Flash Giveaway! You are here: Home › Giveaways › Creating Memories with Hallmark #KeepsakeIt Ornaments + a Flash Giveaway! Putting up the Christmas tree year after year with my kids is a tradition that we look forward to especially since we love seeing all the ornaments we have collected as a family through the years. Hallmark’s line of #KeepsakeIt Ornaments has a selection for everyone, from Disney themed, Sports related, Religious and even Musical choices like the “Happiness Makes Magic” ornament that i selected for my children to add to their collection this year. 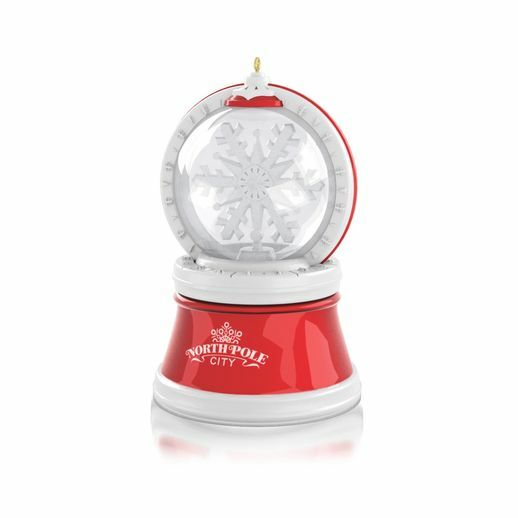 I chose this because of the multiple features when you press the snowflake button it spins and illuminates to the sound of a magical tune. So if you are looking for a last minute gift or stocking stuffer, a #KeepsakeIt ornament is a not only an ornament but a memory that will keep on giving year after year! Flash Giveaway on my Instagram page Mommytipsbycole for the same ornament I selected! You can see all the rules on there! Good Luck and Happy Holidays!! !